The first time I heard about Create & Cultivate, I was having coffee with Sam [of @samsongseeking, before she moved to Canada] and I asked her about it because I saw it on her IG Stories. She told be about attending the conference in Portland and how she had a great time [and from the looks of her Stories, it surely seemed so]. So, from then I decided I would try to attend an upcoming conference. Turns out the next one was in LA [perfect so close, right]. It was actually on my birthday, and if you all remember, I had planned a get away sleepover with the besties for my birthday weekend. Kim Kardashian West [I KNOW] ended up being the keynote speaker for that one [so perhaps the bday mems could have waited?]. But not to worry, when they announced that the next Create & Cultivate would be in Chicago, I was so pumped. I don’t know if we’ve ever talked about it here on leave a little sparkle, but I LOVE Chicago. To me, it’s just a smaller, cleaner, cheaper New York. [Don’t get me wrong though, that WIND I experienced when I first visited back in January 2016 was NO joke. They don’t call it the Windy City for nothing]. I won’t lie- the thought of getting on another airplane (my 7th in the past 3 weeks) physically drained me. I mustered what I had, threw some items into a carry on and was just grateful for the opportunity to go. 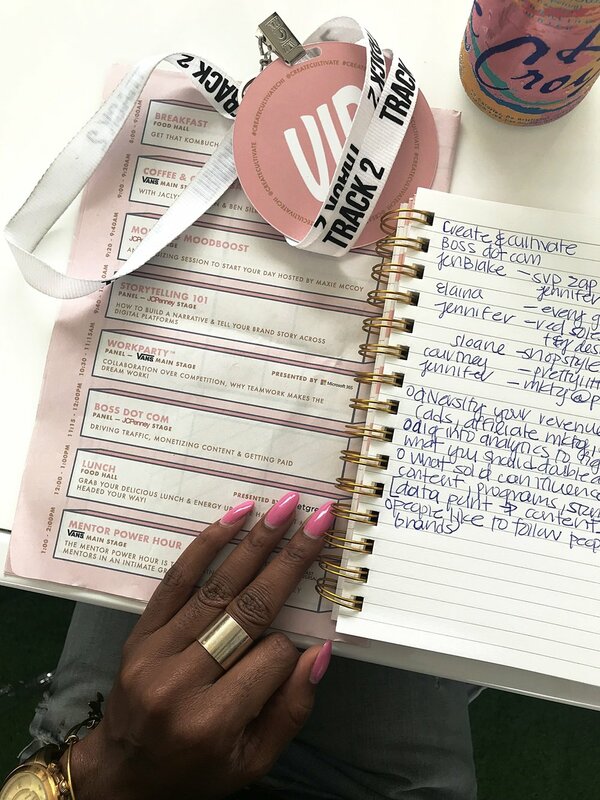 I didn’t have many expectations, since I’ve never really been to anything like this [the Teen Vogue Summit is likely the closest, but that was SO different]. 2. Pack light. At C&C, brands SHOW.OUT. I’m talking samples, full size products, a new pair of shoes [thanks vans! ], and MORE! So you’ll be acquiring bags and bags of stuff throughout the day. So only bring your bare minimum to the conference [and if you traveled like me, you’ll need space in your suitcase to bring stuff back]. 4. Bring a portable battery. Surprisingly, there were no charging stations at the event [which kind of blew my mind]. So I was very frugal with using my phone knowing that I needed to call a Lyft to return home. 5. Drink loads of water. It’s a lonnnngggg day. And Chicago is humid! While Chandon was on deck with loads of sparkling wine and Crown Royal with cocktails, make sure you’re also drinking water. 7. Take notes. You might think you’ll be able to remember everything but the truth is you likely won’t. That book a speaker recommended? An app your favorite blogger uses? A really inspiring quote a panelist said? Write it down! 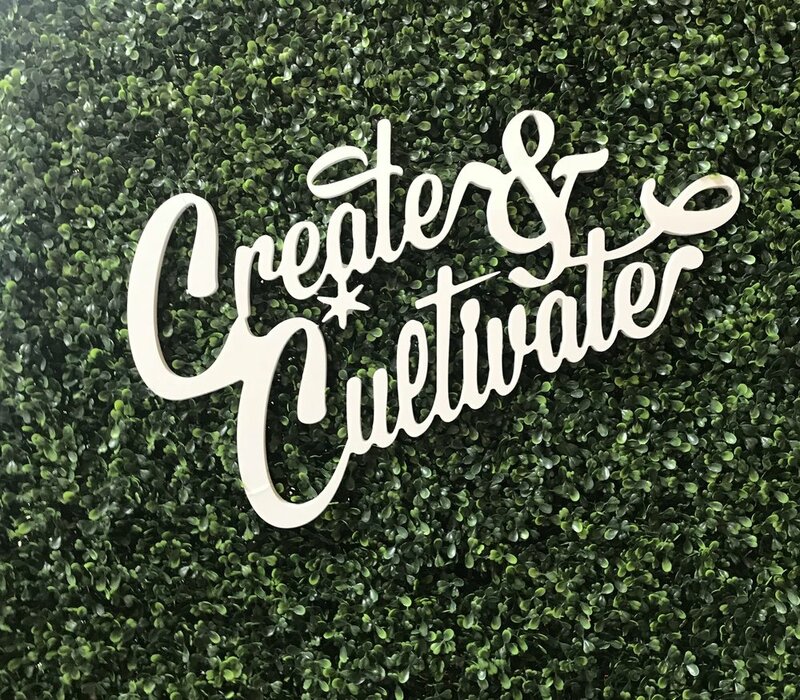 Any of you ever been to Create & Cultivate? Or want to? The next one was announced at the conference- Miami in December! Let me know if you end up going or if you have any questions!